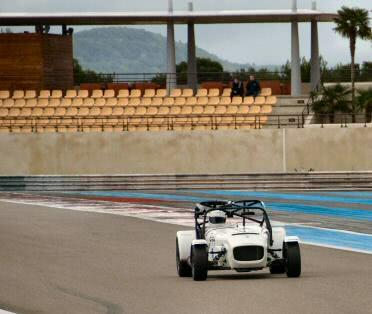 Caterham regular Jon Walker and DPR team owner David Rowe put the new R300 through its paces in a three hour endurance race at the testing Paul Ricard circuit in Southern France during the Grand Prix Historique de Provence. 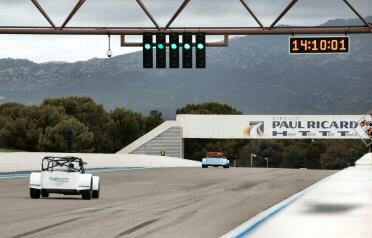 A total of 25 Caterhams entered this event comprising CSR’s, French Roadsport cars and the new R300. The DPR Motorsport Caterham R300 punched above its weight finishing ahead of three slick-shod CSR 260’s by three laps and six laps ahead of the first Roadsport car. At the finish the R300 was only three laps behind the leading CSR with the R300 finishing fifth overall and first in class.